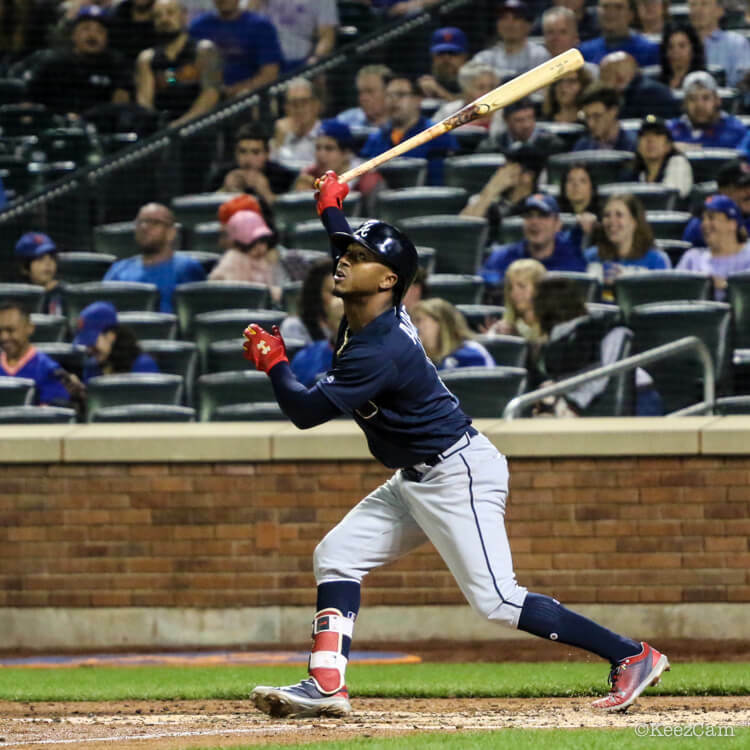 Ozzie Albies has swung several companies, and both Maple and Ash, early in his career. 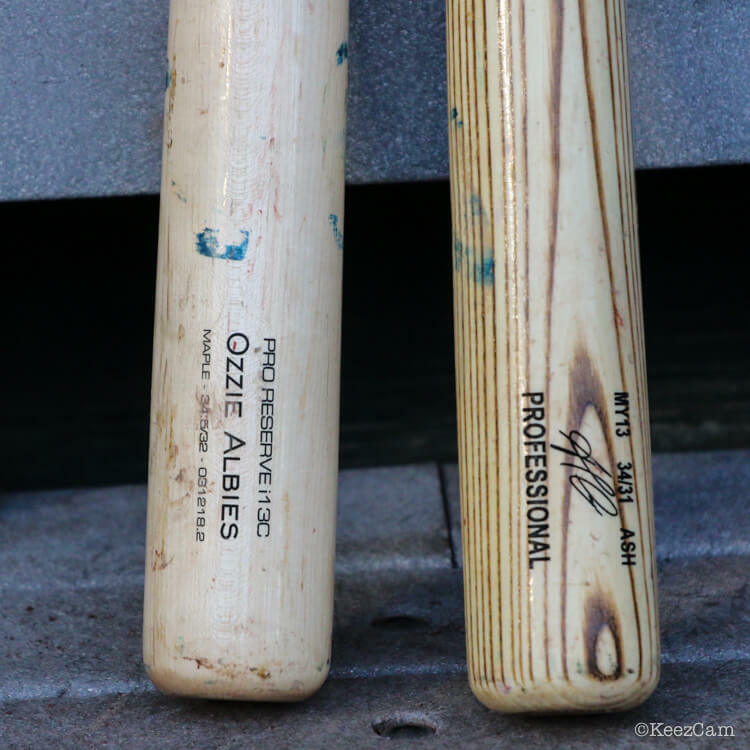 One of his favorites is the Rawlings Ash you see on the right. We’ve seen him swing a model OA1 and an MY13 (Machado model). The MY13 is a slightly end-loaded and extremely popular i13 profile. You can get this bat in Maple (as a Rawlings “Gameday” model) at the link. Categories: Ozzie Albies, Gear, Bat, Second Base, Atlanta Braves.